The paradox of conscientious objection and the anemic concept of ‘conscience’: downplaying the role of moral integrity in health care. Conscientious objection in health care is a form of compromise whereby health care practitioners can refuse to take part in safe, legal, and beneficial medical procedures to which they have a moral opposition (for instance abortion). 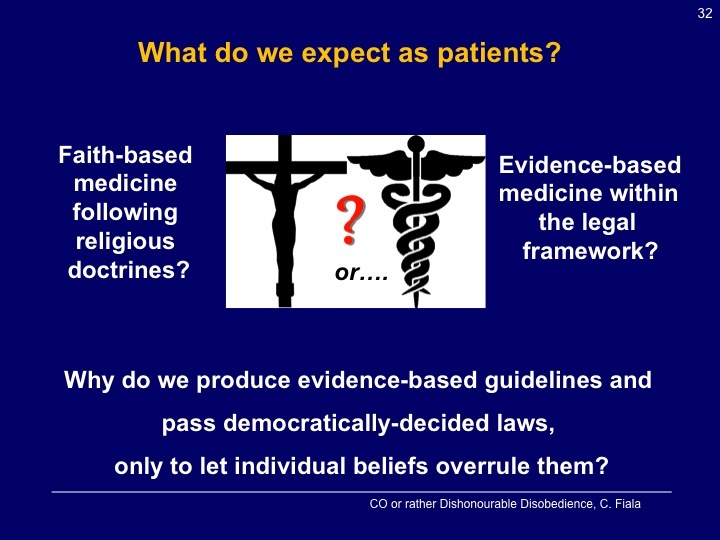 Arguments in defense of conscientious objection in medicine are usually based on the value of respect for the moral integrity of practitioners. I will show that philosophical arguments in defense of conscientious objection based on respect for such moral integrity are extremely weak and, if taken seriously, lead to consequences that we would not (and should not) accept. I then propose that the best philosophical argument that defenders of conscientious objection in medicine can consistently deploy is one that appeals to (some form of) either moral relativism or subjectivism. 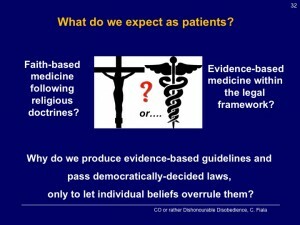 I suggest that, unless either moral relativism or subjectivism is a valid theory–which is exactly what many defenders of conscientious objection (as well as many others) do not think–the role of moral integrity and conscientious objection in health care should be significantly downplayed and left out of the range of ethically relevant considerations.